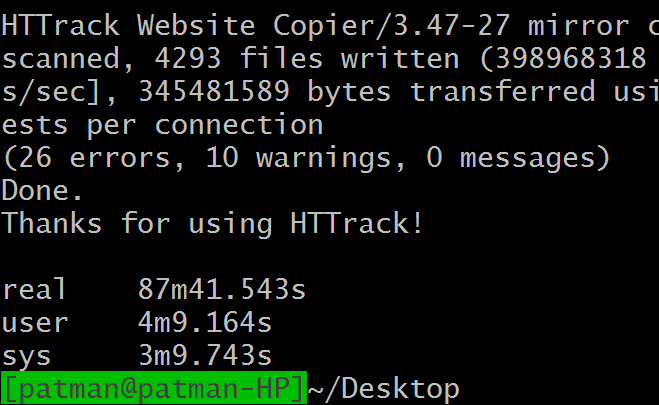 The other day I discovered this awesome command line tool that lets you effectively download a website and save it locally. 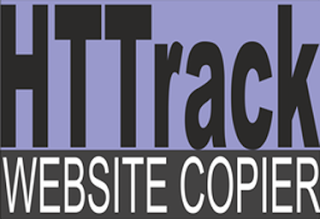 I used it to download a website of mine that is in WordPress and convert it to just a static backup of the site (images and all). 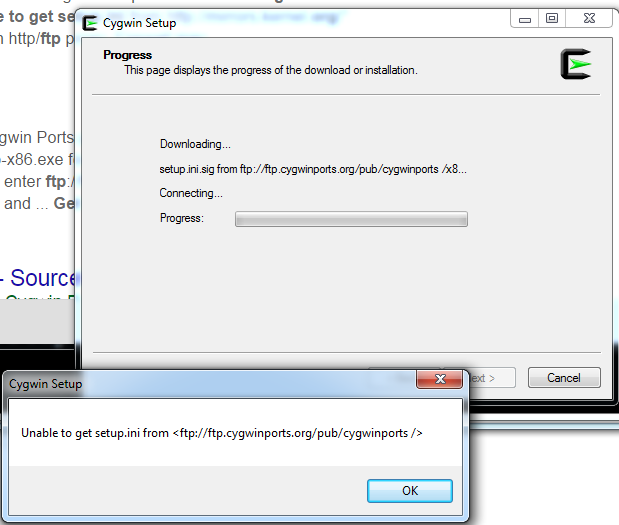 When looking how to do this I found this page http://sourceforge.net/projects/cygwin-ports/ . From cygwin run setup.exe but use the -K to point to the cygwin ports project. When you get to "Choose a Download Site"
… what did I do wrong? Oh I had a space in the URL. Once I removed that it worked. 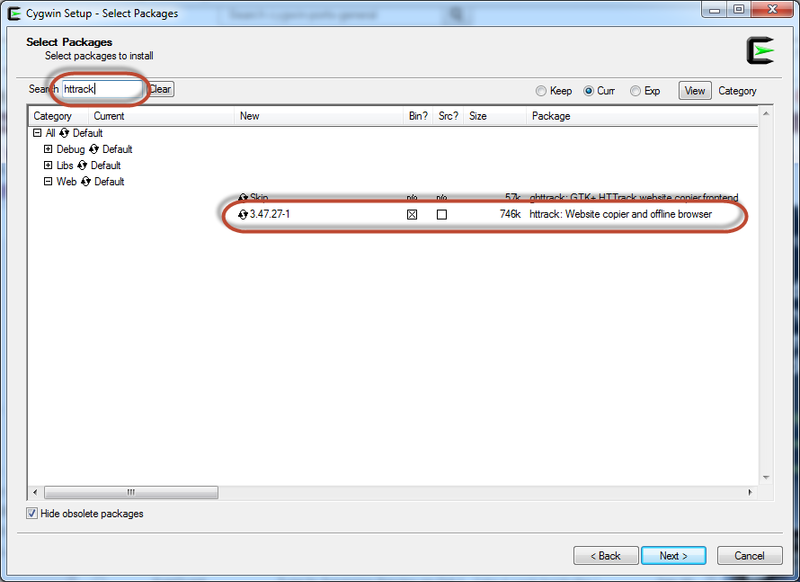 Start a new cygwin window and check if it'whichs installed. 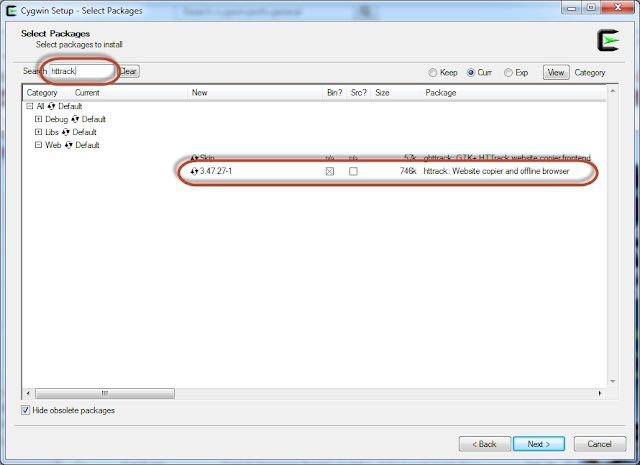 Basically you give it a start location, for example look at this command. You can define how you want to filter and even what you want to filter out. For me I want copy all of *.whiteboardcoder.com. Here is the command that would do that. > httrack -v "http://www.whiteboardcoder.com" -O whiteboardcoder "+*.whiteboardcoder.com/*"
All subdomains and every file (that the site link to… as long as they are part of the same domain). 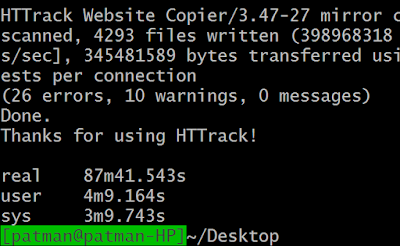 > time httrack -v "http://www.whiteboardcoder.com" -O whiteboardcoder "+*.whiteboardcoder.com/*"
Took almost 1.5 hrs to download my site. Now I have a nice self-contained version of my website in my desktop. External links still will take me to other URLs. 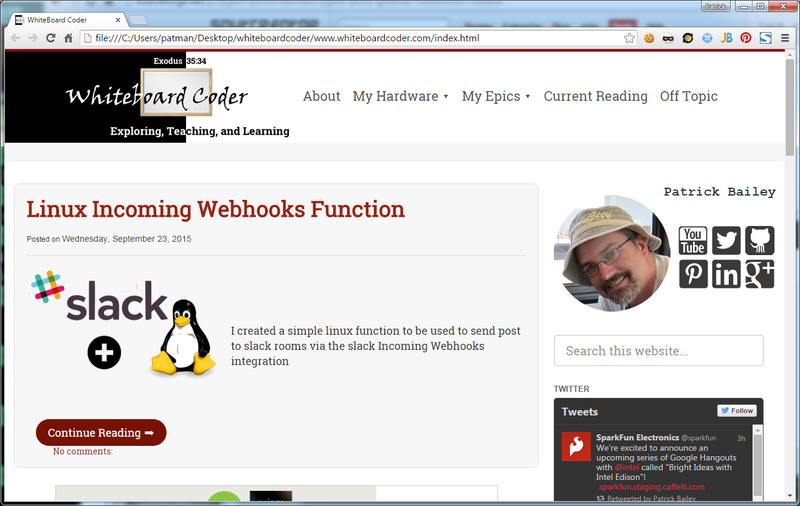 Clicking from page to page just loads files locally on my hard drive. And the original URL is preserved in the folder structure. Nice.